Love trivia quiz games? Then you’ll love Take 10 Trivia! 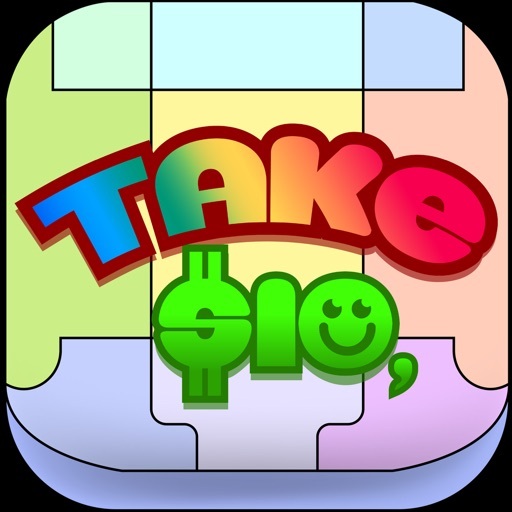 Take10 is a free, fun trivia game that allows you to win cash and prizes with your trivia knowledge. Are you sharp enough to answer fun trivia questions about art, entertainment, music, science, sports, history, and general knowledge? How fast can you answer before the clock runs out? Unlike any other trivia game, Take10 pays cash and prizes when you answer all of the questions in the game correctly. With the best trivia categories to choose from and unlimited play time, Take 10 is the best trivia app to win money! It’s an addictive game that will make you never leave your couch or wherever you play it! Ø Download Take10 Trivia from the App Store. Ø Sign up using Facebook or email. Ø Play… and win the $10,000 jackpot or other cool daily prizes! Still not convinced yet? Check what our current users have to say. APPLE IS NOT A SPONSOR AND APPLE IS NOT INVOLVED IN ANY WAY WITH TXT GAMES, LLC AND OR TAKE 10 TRIVIA.